The Calee floor lamp is available in a satin brass, satin graphite, satin nickel, and satin copper finishes. The Calee collection consists of a table lamp, floor lamp, suspension lamps and wall lamps. 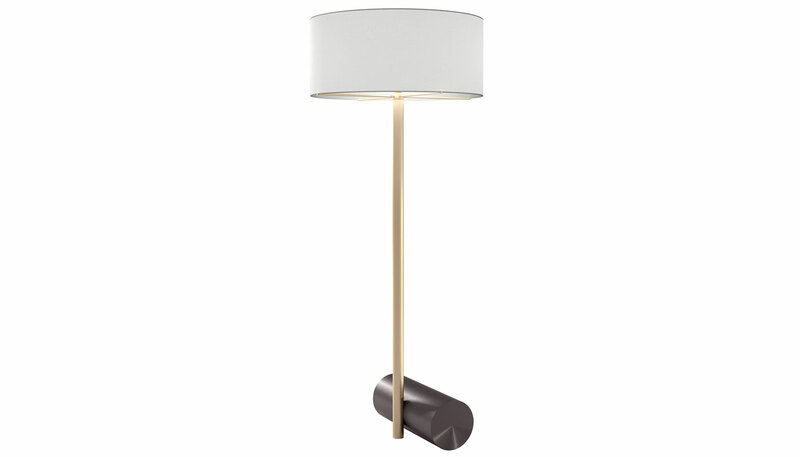 The Calee floor lamp is constructed with solid brass and M1 drop paper fabric. This lamp is UL Listed and requires one E27 205W max light bulb. Bulb is not included. Manufactured by CVL Luminaires Contract / CVL Lighting. To read more about CVL Luminaires Contract Calee Collection, please check out our blog.